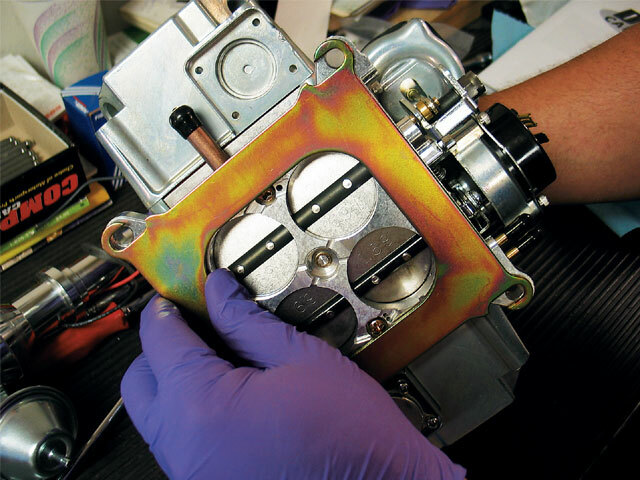 It's Dyno Time As This Small-Block Gets Tuned To Better Than 400 Horsepower. 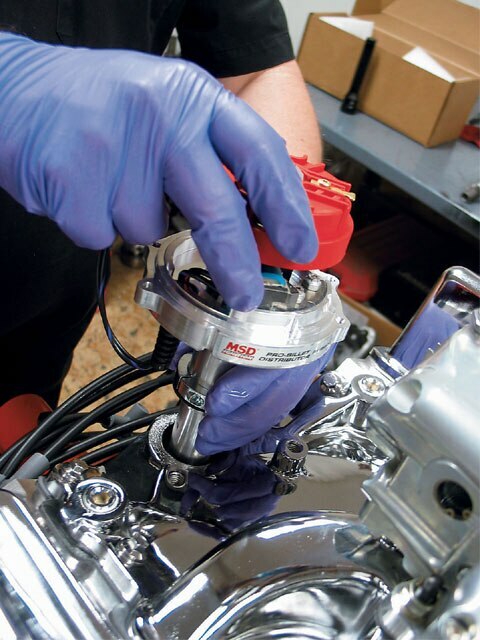 Last month, we showed you how the Comp Cams retro valve train setup was an easy add-on that will allow the engine to operate like a modern small-block straight from the dealer. 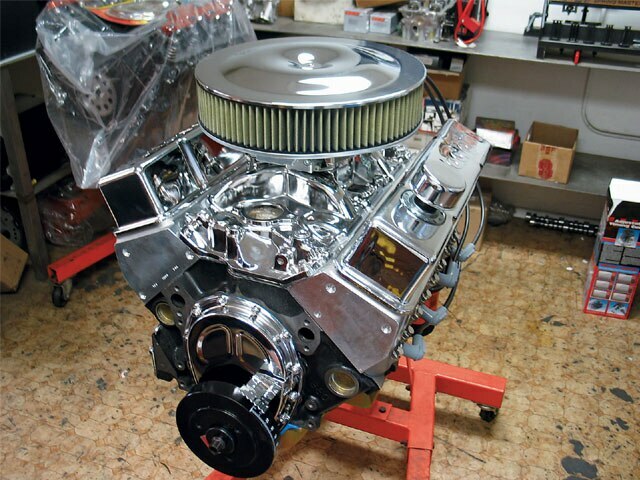 This month, Jerry at Ace Machine in Riverside, California, finished the 383-c.i.d. 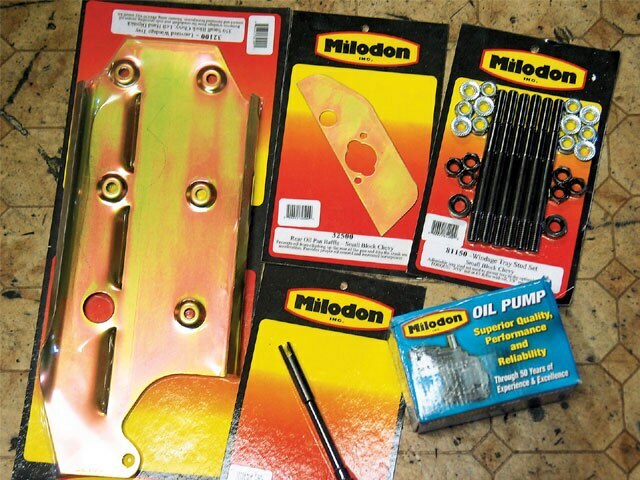 engine build and topped it off with accessories from Milodon, Professional Products, Demon Carburetor and RHS. This engine build was too complex to try to show you what Jerry did all at once, so we opted to present it in two parts, which gave us enough space to actually show you some dyno time. 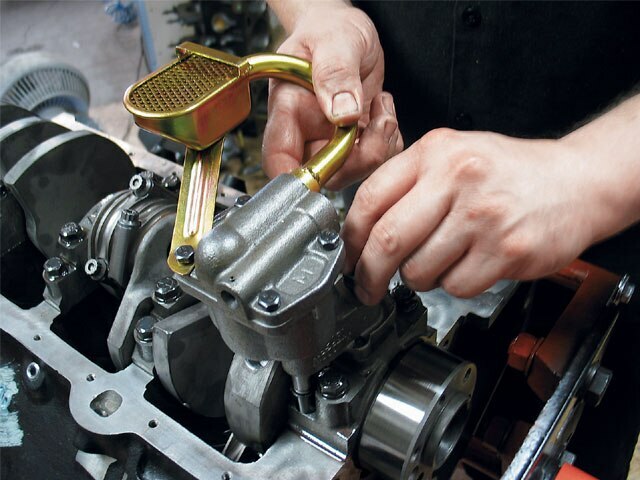 These engines can be built fairly easily, but tuning is most important; a few minor adjustments can make a world of difference. So when we were offered a chance to get on that dyno, we were ready to roll. This engine build got interesting when Comp Cams offered us the opportunity to dyno their products on a new GM Performance 290-c.i.d. 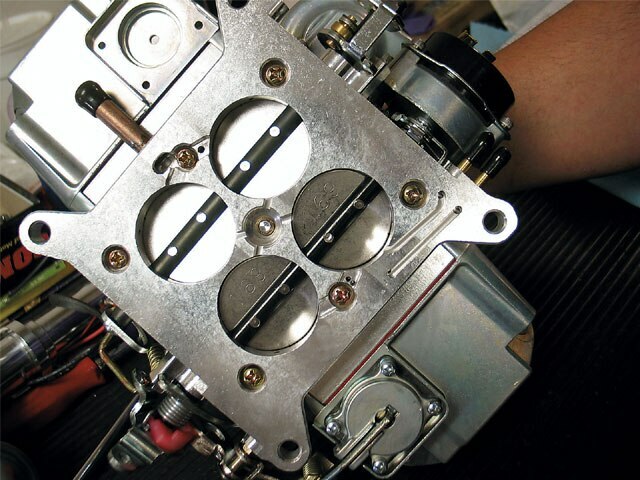 crate engine block that was designed to produce about 295 horsepower. On the first run, our combination gave us about 370 horsepower. 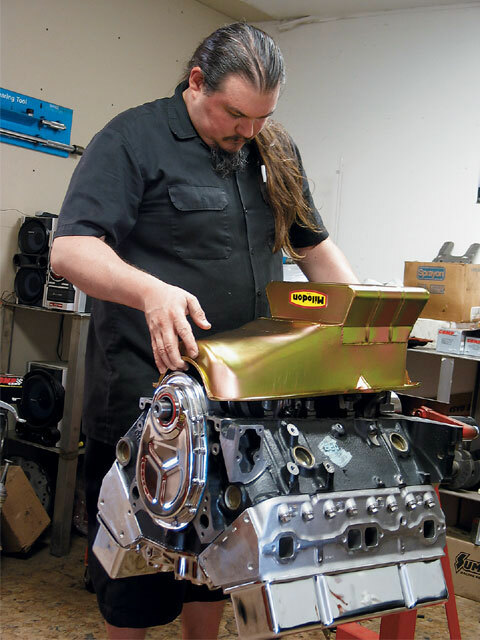 By the time that Steve of Westech Performance Group in Ontario, California, got his hands on it, this small-block was pushing better than 400 horsepower just by being tuned! 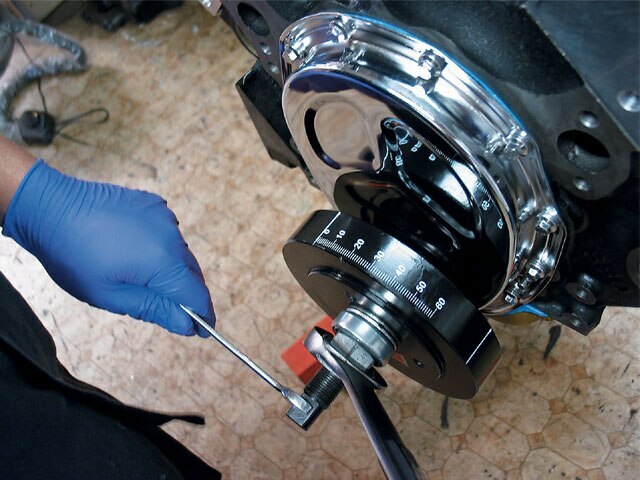 Now follow along as we show you how this Comp Cams build came together. 1. 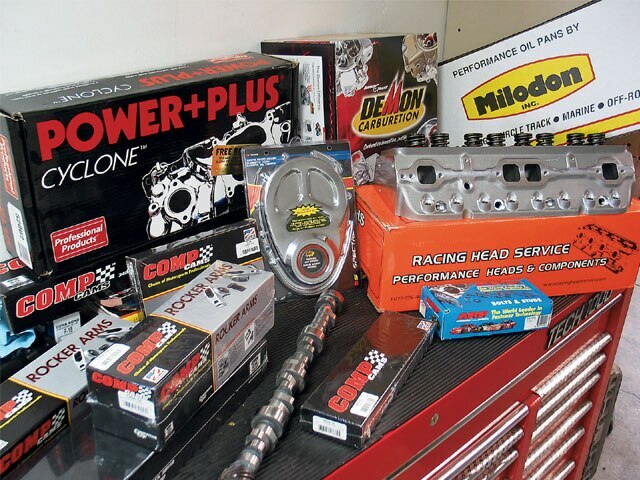 These are just a few of the things used for this 383 engine build. 2. 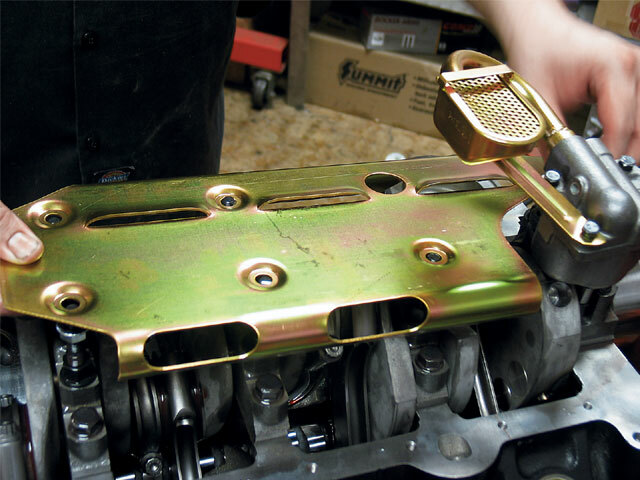 A Milodon oil pan system was used for this engine as it helps keep the pressure at the right level. 3. 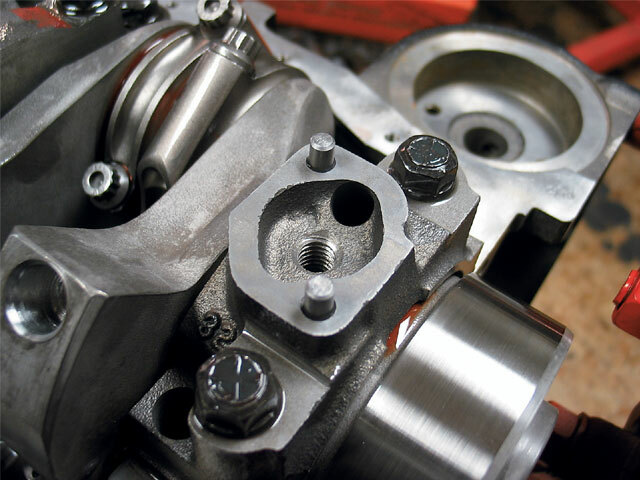 The oil pump was ready to be bolted. 4. A Milodon high-volume pump was installed. 5. 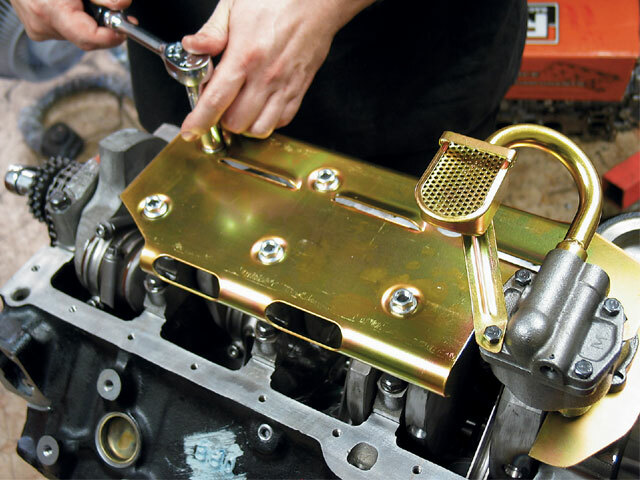 With most engine builds like this one, you’ll need to refurbish or install a new oil filter adapter for the oil filter. 6. 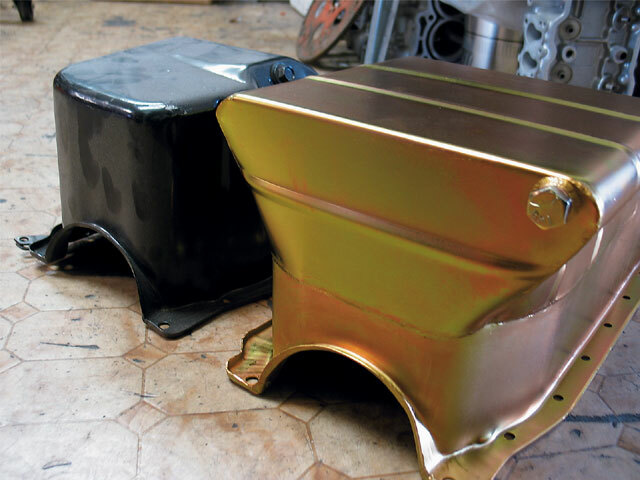 This oil splash pan will help you keep the oil from “washing” when taking sharp turns or hopping. 7. 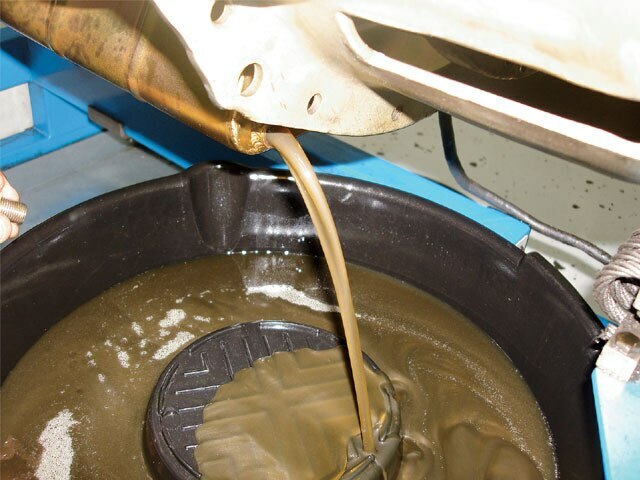 You can see the splash pan floating and the tolerances and clearance that it will have after it’s been installed. 8. Once the pan was checked for clearance, it was bolted down to keep it from coming loose. 9. Here’s a look at the 6-quart pan and the stock pan. The aftermarket pan sits lower and it holds more fluid for better cooling. 10. 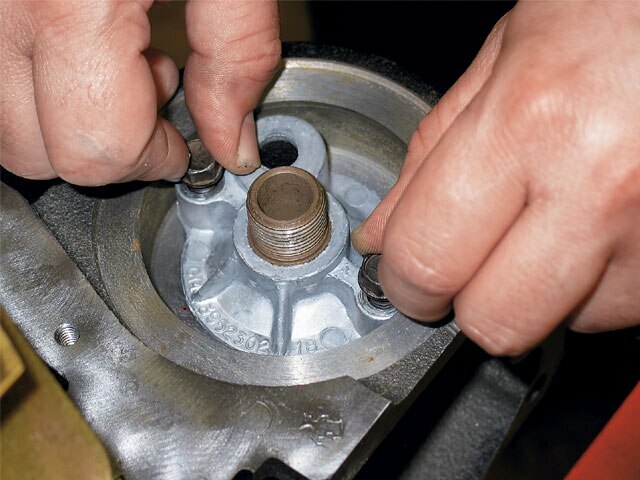 The splash pan comes in two pieces; this one sits under the oil pump to ensure that the oil stays down. 11. 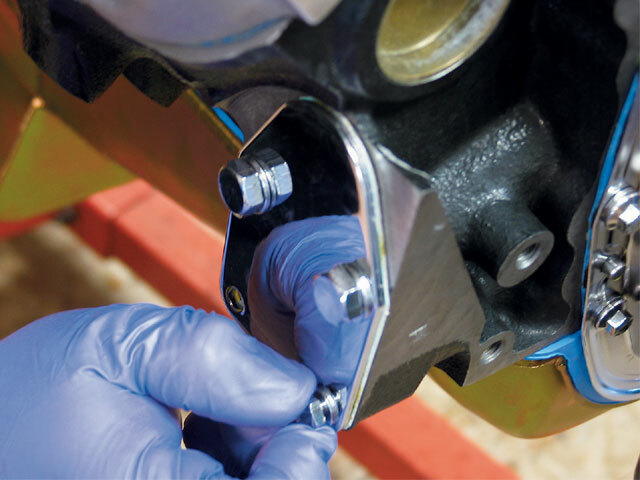 This rear main seal is thicker and designed to keep all of the pressure from slipping out. 12. 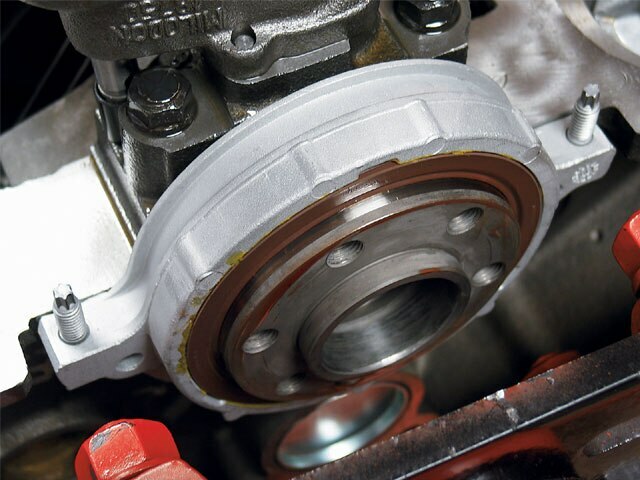 This rear main seal is thicker and designed to keep all of the pressure from slipping out. 13. 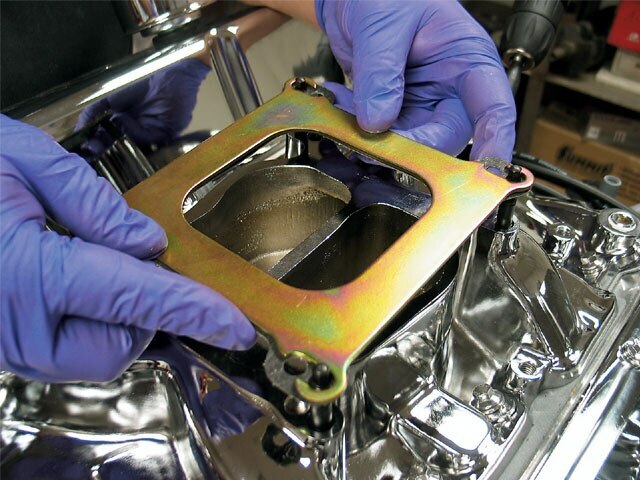 This one-piece oil pan gasket will help prevent any leaks from the oil pans. 14. The Milodon pan was ready to go on. 15. 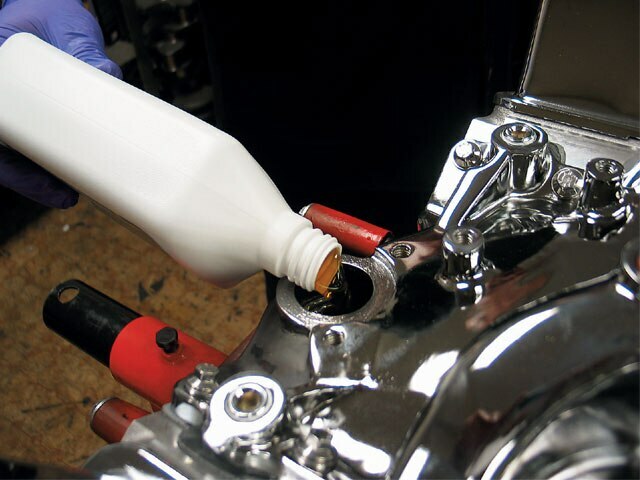 To ensure that the engine did not fire up dry, oil was poured through the distributor before it was primed. 16. Using an air drill and a long shaft, the oil pump was primed. 17. 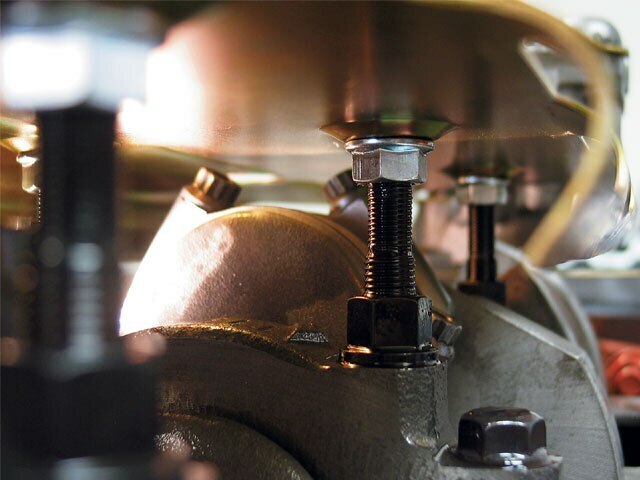 The harmonic balancer was installed to allow Jerry to find TDC (top dead center) on the engine when it’s time to fire it up. 18. 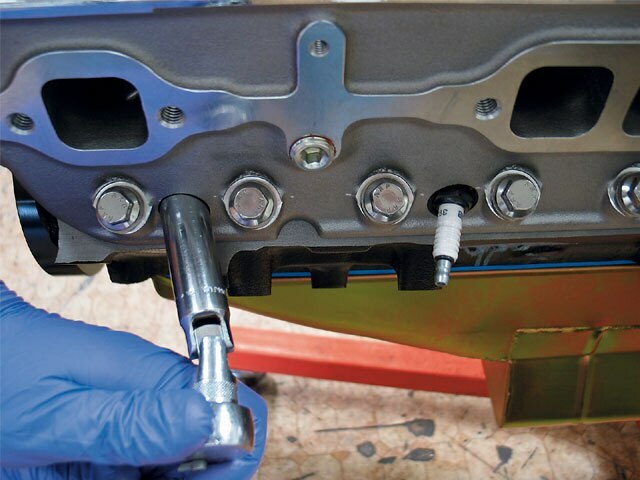 The angled sparkplugs on these RHS heads allow the piston to get more spark and better performance. 19. 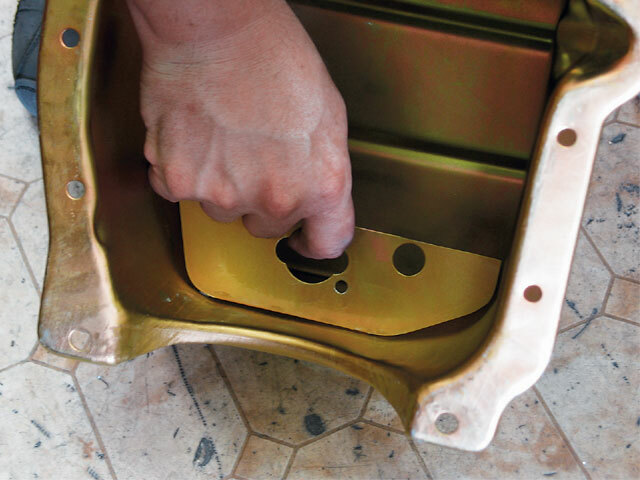 An electric fuel pump was used so a cut-off plate was bolted on. 20. This air spacer was used to give the engine a better air mixture. 21. The Demon Carb base was checked before being bolted it down. 22. 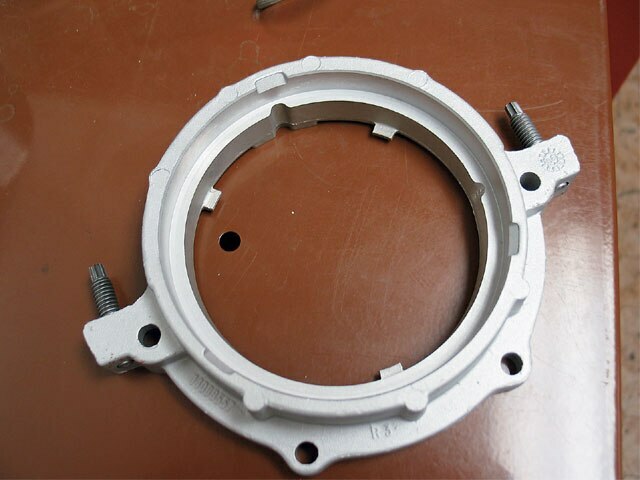 This spacer will allow the mixture of air to be pretty even. 23. 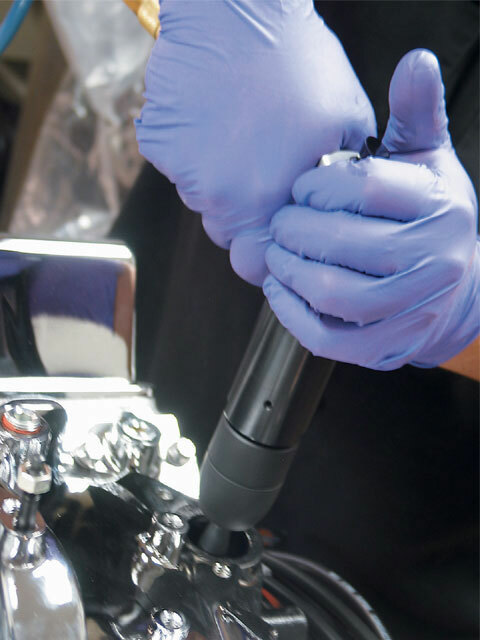 An MSD Ignition distributor was installed as Jerry had already found TDC on the block. 24. This engine was ready to be tuned on the dyno. 25. 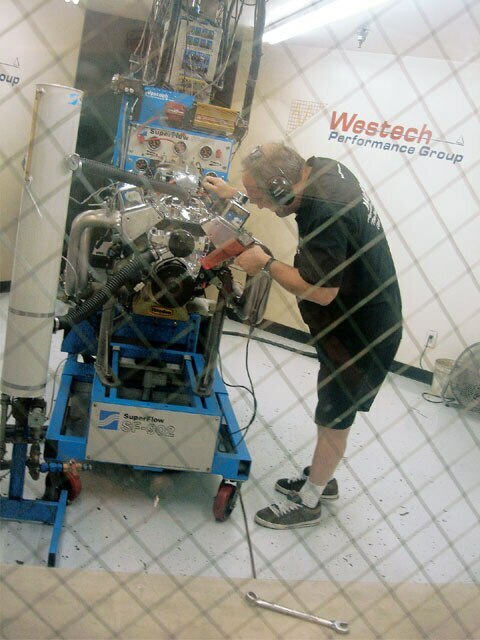 We shot off to Westech Performance where Steve began by timing the engine block and checking for leaks. 26. After breaking in the engine and a few pulls on the dyno, the oil was changed. 27. 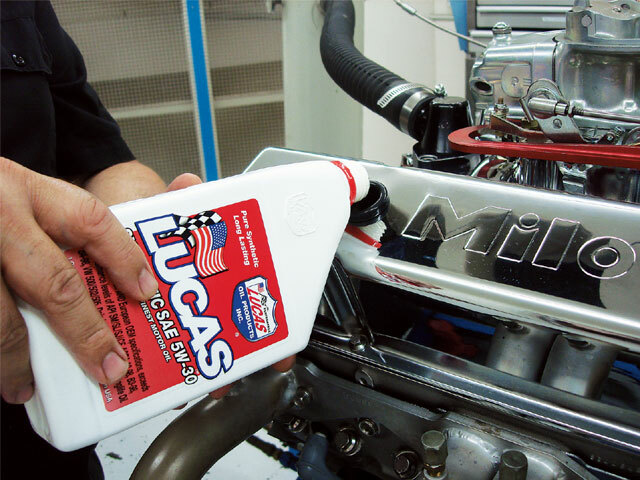 Synthetic Lucas Oil was used, which dropped the oil pressure and actually gave us about five additional horsepower. Yes, just by swapping out the oil, the engine gained horsepower. 28. After running all day on the dyno, the engine was ready to be dropped in and do its thing for real.